Aloha! Upon check in at the Polynesian Resort my family was greeted with lei's and fun little coloring books for the children and Crayola crayons. My daughter was given her 1st "birthday button" also. 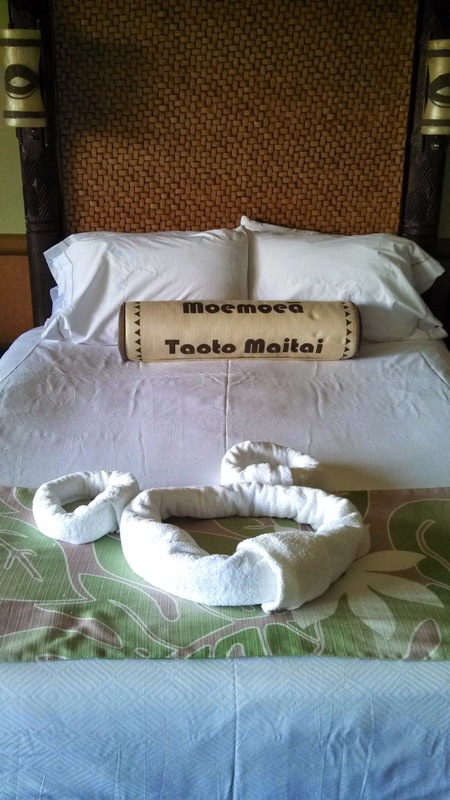 We were lucky enough to stay at the Somoa building which is directly behind the Volcano pool! We were so happy with this beautiful resort and beautiful room! The bedroom was decorated so nicely with the tropical theme and allowed plenty of space for our family of 5. There are two huge very comfortable beds and a couch that makes a sofa bed. I love the wall paper in the bathroom! Plenty of space to hang wet swim suits too! The closet was huge and could have easily held our luggage and umbrella stroller (folded up). There was also a safe located inside of the closet. When I stepped out onto the balcony and saw this amazing view I almost couldn't believe how lucky we were! This is what I had hoped for when I requested Somoa building months prior. View from the balcony looked out onto the Grand Floridian, pool and even a peekaboo view of the lake!! You really feel like you are somewhere tropical with a view like this! I would highly recommend the Polynesian Resort. 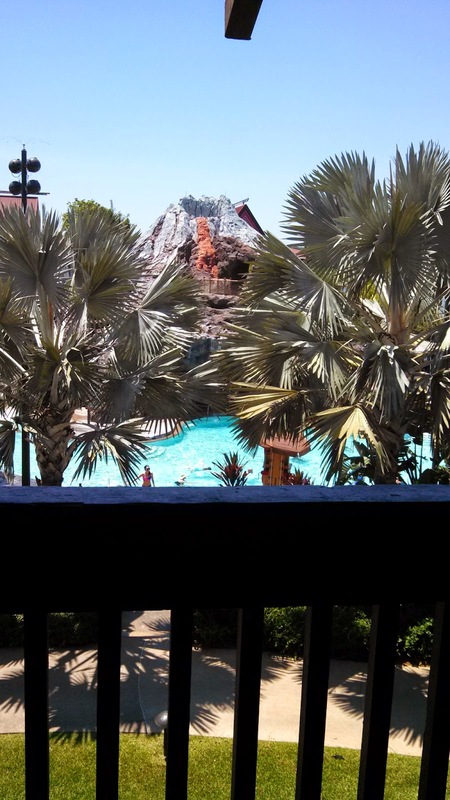 I love the Polynesian Resort because it is located on the monorail and provides easy access to Magic Kingdom. I love that you can also take the boat to get back and forth between the resort and the Magic Kingdom. I love the tropical themed rooms, lobby and restaurants. My kids love the Volcano pool, beach area and splash pad. 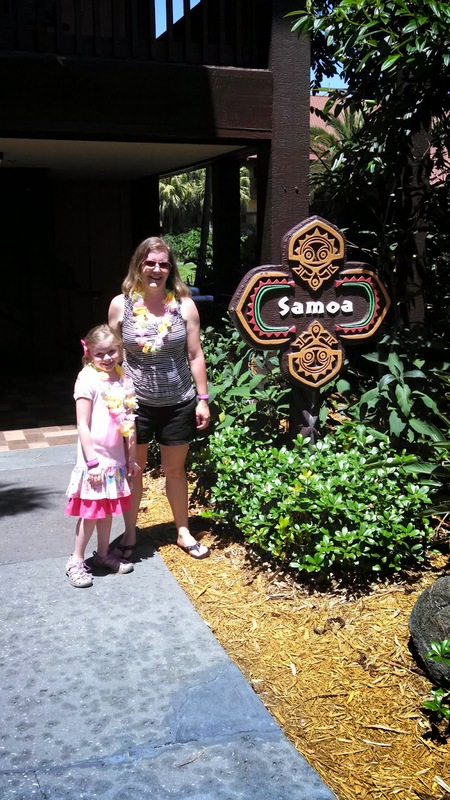 And if that isn't enough reason's why I love the Polynesian Resort then here is one more---O'hana and the luau are both located here at the Polynesian Resort. There is so much to do for children of all ages. There are games by the pool for children, nightly movies by the pool and smores by the fire pit. This is my dream resort to stay at . . . someday . . .
Heidi--even if it is just for one night you will LOVE this resort! First class all the way!